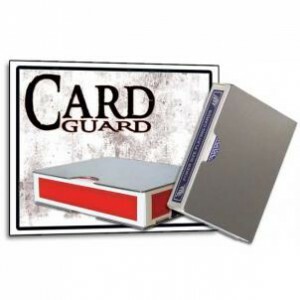 This superior guard of cards will protect your poker size pack from bending and warping. Constructed in stainless steel, sure to last a lifetime. Best quality and priced card guard on the market!